Steve Rogers is back – with a big secret. Captain America is a Nazi. In the premiere issue of Marvel Comics’ “Captain America: Steve Rogers,” Cap turned on a friend, sent him hurtling to his death, and revealed himself to be a member of Hydra. Hydra is Marvel’s answer to Nazis. There’s nothing subtle about that “Hail Hydra” salute. People are losing their shizz over this swerve, and can you blame them? For more than 75 years, Captain America has stood for the greatest ideals of the flag and this country. And now he’s a traitor? 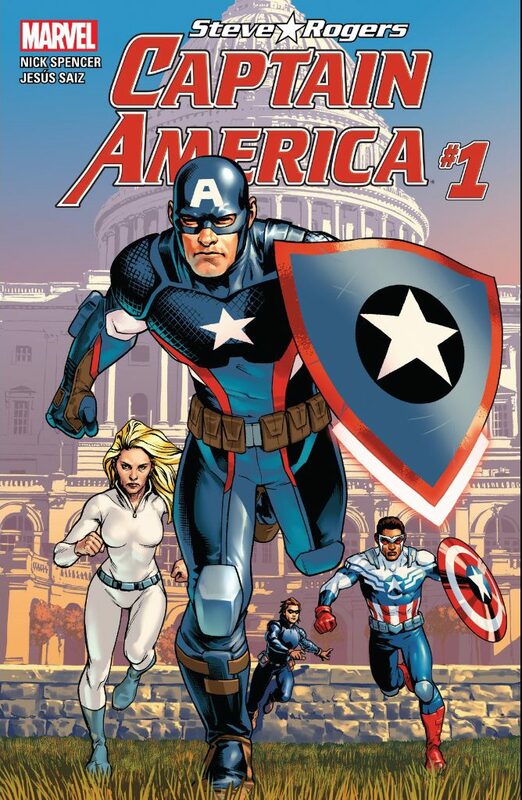 Marvel dares you to wonder what Captain America stands for now. The issue debuted the same Wednesday as DC released its much hyped “DC Universe Rebirth,” which seeks to reboot the entire DC Universe in a way that will bring new life – and sales – to the company. If you think there’s a coincidence or an accident at work here, I’ve got a pile of “Little Archies” I’d like to sell you for a measly thousand bucks. They’ll be worth millions in a few years, I promise. Marvel editors saw an opportunity to blow DC out of the water, and they took it. There’s nothing wrong with that. It’s not criminal, it’s not even unethical. And give the hacks their due, they succeeded. It topped social media. It dominated the press. “Time” interviewed editor Tom Brevoort and asked, “Is this a gimmick?” (Duh.) “The Washington Post,” “GQ” and the U.K.’s “Telegraph” were among the media outlets across the world that picked up the story. Even CNN Money weighed in with “‘Captain America’ twist stuns comic book world.” “The New York Times,” to its credit, reported on both comics, but DC’s book seemed a tacked-on afterthought. Cap helps a friend disembark. He is good like that. Marvel buried DC in what the latter had hoped would be its triumphant return from the dead. And Marvel only had to shart all over their No. 1 property. Can you imagine how happy Disney must be right now? The company owns Marvel and has the No. 1 film worldwide. “Captain America: Civil War” has grossed more than $1.3 billion worldwide. Yeah, I would have loved to have been eavesdropping when studio heads found out their hero is a Nazi. Does Marvel really think it can sell more books with this plot? Can you imagine some 10-year-old sees “Captain America: Civil War” and is all amped about jumping into the comics. You think his parents are going to be excited about buying a book about a Nazi? Even star Chris Evans couldn’t resist tweeting out his own disbelief. Writer Nick Spencer plants the seed to reverse his own story here. The story reflects either a fundamental misunderstanding about Marvel’s most potent symbol or the most craven, soulless attempt to get money and attention. Given Marvel’s record of bombastic indulgence, it’s probably both, and great reasons why Brevoort and writer Nick Spencer should be fired. 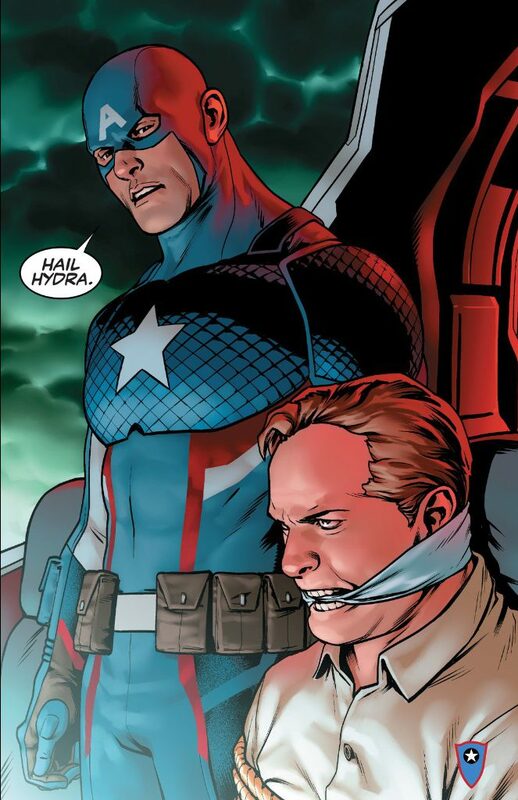 Here’s the thing: Captain America as a Hydra agent won’t stick. There will be another retcon somewhere, someday. Right now, it’s a horrible wound that the company inflicted on itself just so it could one-up its competitor. Captain AmericaDC ComicsDC Universe RebirthMarvel ComicsNick SpencerTom BrevoortWhat the Hell Did I Just Read? Do You Need the New Kindle Oasis? I couldn’t agree more. How cynical is this current generation? If I had my way I would kidnap the Marvel brain trust and force them, Clockwork Orange style, to read Lois Lane and Jimmy Olsen comics. I wonder if they’ve ever read anything published before 2010. Doesn’t seem so. Today’s comics industry is souless. At least silver age Marvel had a sense of humor. These people only know data-driven demographics. I miss Silver Age Marvel. Pick up a Marvel book from the ’70s and you are bombarded with an insane amount of story & art. Today’s books are geared for graphic novel collections. You get a teaspoon of story stretched over six issues. Not a satisfying read. I agree. Everything has to be larger than life and geared towards merchandising. Yeah, and that makes this move with Cap so baffling. I can’t imagine anything torpedoing merchandising faster than revealing your hero is a Nazi. Talk about corporate suicide. Haha! Nah, still Disney’s nightmare. 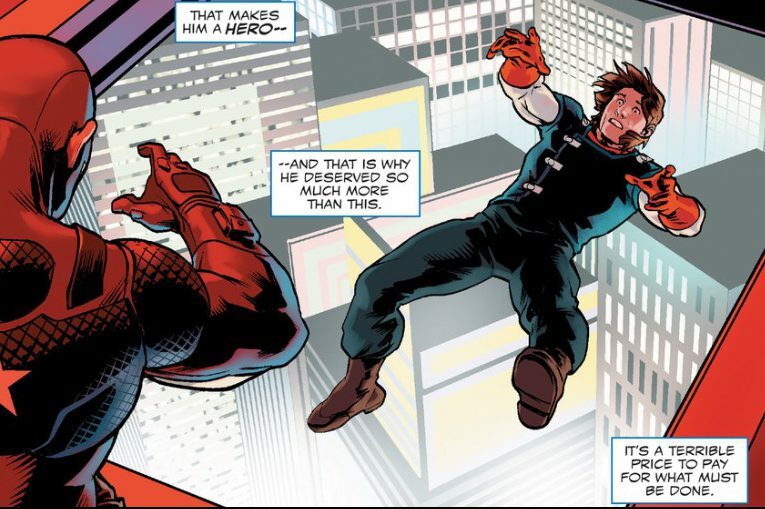 So this buzz about making Captain America gay is a really bad idea. I wouldn’t mind having Chris Evans as a gay hero, but I don’t want to be lusting after a character who turns out to be a fascist. 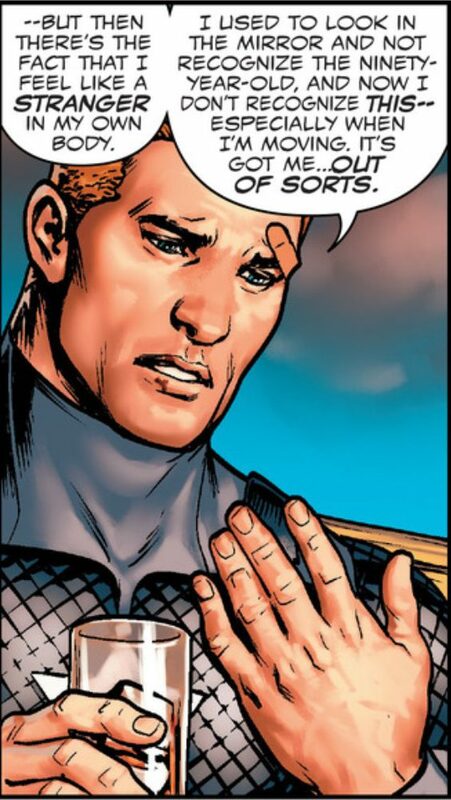 I don’t see Cap going gay – but then, I never thought we’d see him as a Nazi, so I guess anything is possible.